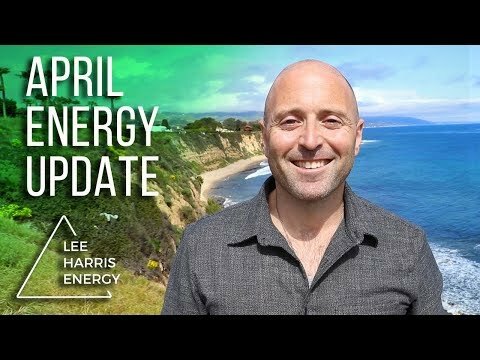 Hi and welcome to the energy forecast for May 2013. We are indoors this month. I'm staying in Denver and it's very noisy out there with lots of cars so even the parks didn’t look appealing for our purposes anyway. So, it’s interesting. Because in many ways I feel that being indoors is the theme that many of you will be going through - feeling indoors within yourself. Not because you're retracted from the world - the opposite; because of the catalysing force of everything that is going on in an external sense for those of you who work with your awareness and energy body in a conscious way. You'll be noticing how much faster your internal unravelling process will be. So as with all unravelling, the themes for May are fear and intimacy. These two things go hand-in-hand. Because often we have fear of deeper intimacy before we go into deeper intimacy. If you think of going on a date with someone where it all went well; if you reflect on how you felt in the minutes/hours before the date, you will notice that often you will have pulled back a bit or been nervous. And I've talked about this principle a lot - the contraction and expansion dance which we go through. It's an “in breath, out breath” and that’s why life is a constant spiral journey. It's not this destination point that you reach where suddenly everything becomes Zen. Even some of the most Zen people I've met all still experience the waves and the fluctuations of life. You'll all be dealing with different details this month, as we all are, but themes will show up around fear and intimacy. Fear is like a virus. It really spreads fast. So, for example, if I were to be talking to you in this energy forecast panicked and like really coming to the camera and saying “You’ve got to do this! And, blah,blah,blah” (Lee leans forward and expresses in a hyper-fearful way) you would experience a very different energy to my simply being centred and talking from a centred place. And what happens with energy is that we tend to imbibe and absorb it. So those of you on the other side of the screen - some of you may have had a “Whoa!” reaction to what I just did and the energy of it. And what I just did was a little over-emphasised, but it does illustrate the point. Which is - when you start to see and read subtle fear energy that is attempting to spread itself outward, you become more immune to absorbing it. What you have to then ask is; what’s remaining in your body post that conversation? How much of the fear did you take in? Not because it's bad to absorb anything but because you have a choice around your awareness of it. You know, we live on a planet where everything is flowing in and out. And I often think, especially in the Western world, we have too much of a tendency to believe we can control things; which we can't. We can move with things, we can flow with things, we can become more magnetic. But control doesn't really exist in the way that the human ego mind would like it to. So if any of you at the moment (and this will be a lot of you), are feeling weighed down by people around you because of how much they are going through. Number one, it’s a wheel; so being compassionate to those in need is a wonderful thing. It also doesn't mean that you won't be in that situation in the future, but guilt shouldn't be a motivating factor as to why you have to help people. Because many people run guilt around, “If I don’t help them who will help them?” Well, I’ve said this before, we are a jigsaw and we find our fits, we always find our fits - the people who are there to help. So if someone is really in need but they don't feel like the person you can help, you might support them in directing them elsewhere, or you might trust that they're going to find their help. Because the example demonstration of fear that I just delivered to the camera - those kinds of strong energies affect us deeply. So if you're around someone who you are not in energy alignment with, and they’re pushing emotions and fears out of the body, remember that there's a difference between releasing something and pushing it on to someone else. So if I'm angry, I have a choice. If someone catalyses my anger, I can either feel that anger and remove myself and let it flush through my body, or I can aim it at somebody via shouting at them. What will then happen is the other person will receive the impact of the anger I shout in their direction. This can lead to either their starting to fight back (because I have triggered their own anger reaction) or they may go the other way and become the victim and ingest what's just been walloped at them. And then they’re carrying that around. What happens to me as the angry person is, when I see that the energy has gone into them at some level, and I feel it in my body, I'm free - I think. So of course, it is only a temporary reprieve I get, but it's a reprieve. Of course it’s not conscious, but what I get to experience is that I handed off some of this emotion I did not like into someone else. Now, at greater levels this kind of energy exchange is happening all of the time. But there is a fine process going on for lots of us at the moment where we are enabling ourselves to take more of the space inside our bodies – space that we were asked to live outside of by much of our training. Our training in society said; go to work, get a pay check, get married, get a mortgage, the government will look after you. All the very things that we know many people are in heartbreak and devastation about right now, because that belief that they held that those things would support them is now being proved untrue. And it's not that the universe won't support us, for it will. But when you've lived in a system in society and believed that the system was the universe, this is a grief process for many to let go of that idea. Many people going through that grief process right now haven’t come to their own inner alchemy yet. And they will. And the more our world goes through in the next few years; energy alchemy is just going to become more and more the norm. But at the moment it's in a period of growth and a period of greater communication and exploration, so a lot is rising. But within that rising there is this fear of going deeper - intimacy. And that's the next step we are being called to take as a people. So many of us push intimacy away or don't harvest intimacy because of these schisms and isms that come off us. So for example, if I'm nervous going on a date and that nervousness plays out in my behaviour and shuts me down, the person I'm dating is likely to not connect with me. As I say this I’m a little cautious because I’m aware it will lead some parts of people's minds to think of controlling/hiding things like nervousness, and that’s not what I'm talking about at all. What I'm saying is, there will be some mess in the intimacy that might play out between you and another person. That is perfectly natural. So don't be afraid of walking into that dance or not 'getting it right' first time, as there actually isn't a 'getting it right'. It doesn't exist other than in your own mind. And I hear of many people who are now shifting from the idea of intention into action, which is great. Intention is wonderful and there is a reason that it was the most popular kind of topic within the spiritual self development community for several years; because it needed to be developed. But now it has been developed; it’s there, it’s in the body and now it has to be put into practise. This happens through marrying intention with action. How can we bring more conscious intention through our conscious actions? So intimacy is changing too (as well as everything else) and transparency is emerging more, and that brings up fear in the human animal because that hasn't been the historical pattern. And whenever we change a pattern, fear comes up for us. When fear comes up, oftentimes we’re afraid of how we deal with fear so we back away and close our intimacy and opening down again. “I release that which is not mine"
You can make the words up. You can make words up for yourself that are more appropriate to your language or to how you see things. But using words like this is powerful. So much of our energy in our life is given permission by what we say. And often what we say will lead how we then allow the energy out of us. That’s how most people work, not everyone. but most. So in the same way, if you use your words to recalibrate your energetics, it will do it for you. And it's very important too because many of you will be hearing all sorts of other words in your head as you go through this opening into greater intimacy and this dance around fear; world fear, Earth fear, human fear, finding your position in the fear. I’ve talked before about just placing your palm on your heart centre (centre of chest) and how grounding and centring that is; and that's very important at the moment because hearts are cracking open in great ways and in painful ways. So do this action for you to check in with your heart regularly, release the fear of others, but also to really no longer accept self- judgement. You might notice more self-judgement, because you have a stronger awareness now, there is a bigger observer in you. That bigger observer is what gives you the shock every time you notice something. So for example, you notice you’re nervous about going to do something that you never thought you'd be nervous about. And you start to hear, “Oh maybe I shouldn't do this, maybe I shouldn't do this.” And then you get angry at yourself for not believing in yourself and another judging thought appears such as; “God, why won’t I believe myself?” See now how that's the exactly the same energy as not believing in yourself, because it’s all energetics. The alternative option is to go, “Oh, wow. I'm seeing I'm not believing myself. That’s interesting.” Celebrate the seeing as that is the first step to clearing. Now the observer part of many of you will be quite new at the moment. So you won't always trust this part of you enough to give the observer authority, especially if it's new for you to have developed a new part of your inner collective - often it's a multitude of characters in there seeking integration and seeking oneness with each other. So you have to learn to trust the observer. And that's also why I say it's good to look back at certain scenarios that may have been going on in your life that have led you to come off-balance. Because your observer will be at an all-time high at the moment; even if you're in a fight with it, even if you're struggling, because self-judgement roots take a very strong hold. And if you had a very difficult set of experiences in childhood where you’ve always been on the receiving end of self-judgement, it's not easy to just wash that out the body. It takes time. So checking in with your heart is important as you go through this dance of opening to greater intimacy with the universe, as is everyone else. So often our older structures didn't require intimacy; we had a job, we lived in a house, perhaps we didn't really know our neighbors. That is all changing and it's changing faster and faster and faster. So this month the themes are of opening to intimacy, dealing with your own inner fear or learning how to let go of the fear of others, and also self-judgement. Seeing that self-judgement is leaving, and thus having a developing trust of your inner observer that sees your self- judgement. 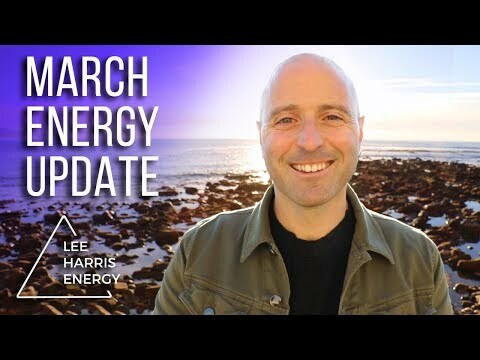 (Laughing) I just had self-judgement that I hadn’t been very clear in this energy forecast, which probably means that for some of you that’s true, but it's also none of my business to know how it affects you, and it doesn't matter – I showed up. And that's enough. That's the other truth that we have to remember; it’s one of the ways I’ve helped myself over the years when I've been too critical on myself. Which leads me to the final thing. It’s very, very scary to be 'in the now' sometimes. There is an enormous amount of potency happening right now in the world around solutions and around the future, which we would be masked to if we just followed the mainstream media or if we didn't do our own research and get out there and live. 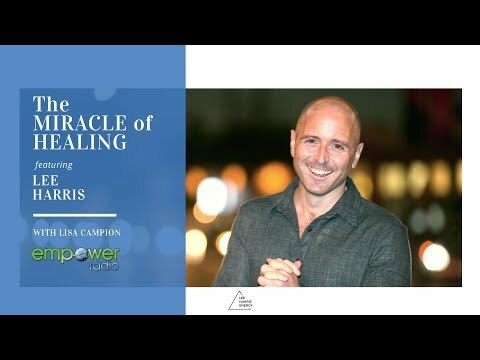 So as much as there is fear in the world right now, there is also an enormous amount of life and an enormous amount of opening, and more and more people are starting to have and create this experience. So, it's a fantastic time to get out there and to live in the now. It can be scary to the human animal. It can be scary to the body. And it's scary when you sometimes are the leader of intimacy or friendliness with someone who you sense pulls back from your intimacy a little at first. But if you can be patient enough to treat that person like you would treat your child and you would help your child through that pull-back, then they will pull you out of your fear or hesitation in the future. So that wheel of leadership and being led can keep going within us as a community. So that's the May forecast. I have a few things coming up - live events. I’m coming to England in July, which I'm thrilled about, and I’m going to do events in London and Manchester. They’re on the website. I'm also doing a special one-day workshop with my good friend Wendy Kennedy in June in LA and again details are on the website and I’ll put them at the end of this video. That's called “The Expanded Self.” It will be a day around working with your oversensitivity and boundary issues and also learning how to be more expanded in the world through some talking but also quite a few exercises and so that will be a great day. Hope to see some of you there. And finally there is the launch of the membership club called “The Portal” which is going to be launching in a few days time, on my website. And to everybody, have a great month. Go and live in the now. The intimacy fears you may have now will be worth it when you come through the other side. And most of all look after yourselves and be good to yourselves. Thank you for posting about the theme of May...I'm living exactly what you've outlined and it's always wonderful to read affirmation that I'm going through what is meant to happen. I believe these themes are supported by opportunities that present themselves to help work things out and in this case, it's deep seated fear about allowing closeness to those we're connected to the most. Your words have made me more aware of what's happening behind the scenes. Thank you!!!! !